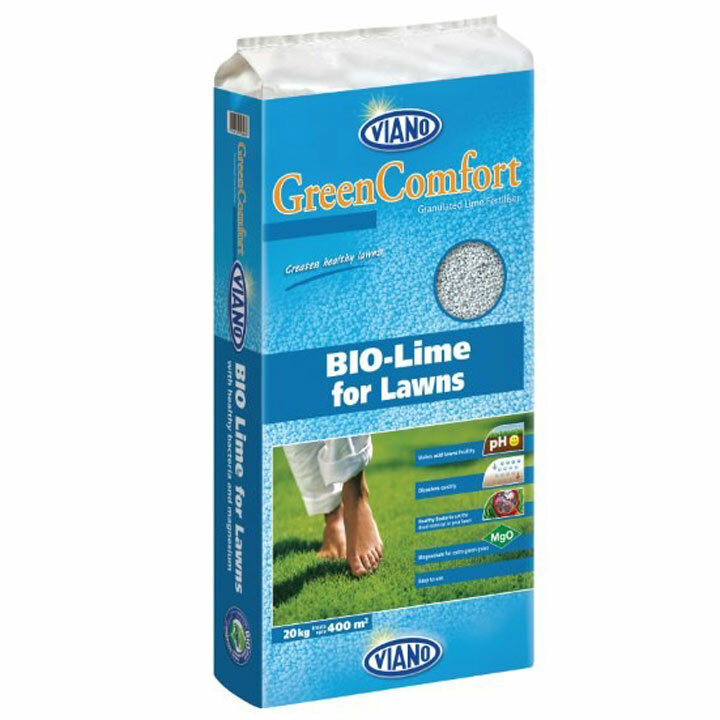 Bio-Lime is a granular lawn fertiliser for spring or autumn which raises pH, sweetens the soil and encourages healthy strong grass growth. 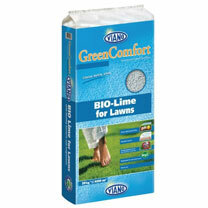 Bio-Lime also contains friendly bacteria which eat thatch and dead moss eliminating the need to rake or scarify. It also contains magnesium which helps maintain a strong colour throughout the winter months. 20kg covers 400 sq m.
As your lawn grows it takes up nutrients from the soil, normally leading to a reduction in pH (making it more acidic). Rain usually increases acidity further, creating an unhealthy environment for grass. Nutrients become locked, the lawn will not respond to feeding and watering and moss will thrive.